Indonesian National Champions Kevin Nicholas and Trivet Sembel throw down some great tricks in this new video. 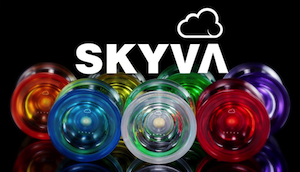 As yoyoing expands, it’s truly great to see so much talent coming from so many different countries. Yoyos used are the YoYoFactory H.O.T., YoYoFactory Superstar, and the Jetset EC by sOMEThING.